Super Bowl is only 3 days away and I can’t wait. It is only fitting that today I should devote my blog to this topic. My oldest son finds this most amazing that his mom is going to watch the Super Bowl and can’t wait for its arrival. My history with football, before marrying a man from Wisconsin, was playing in the high school pep band and playing my clarinet at half time shows in the Fall. Oddly enough, the only professional game I attended was a Green Bay Packer and Detroit Lion game in the late sixties. We were in Detroit for Band Day and performed with a mass group of other high school bands. It was one of the best trips. We stayed in the brand new Renaissance Center. 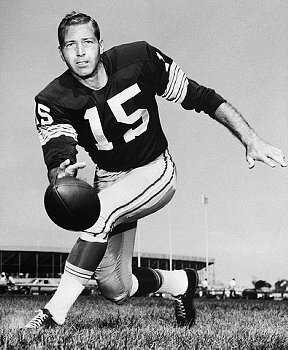 Anyhow, I fell in love with Bart Starr at that game,I believe we were seated behind the Packer Bench. He was the only QB that I could recite from memory all my adult life. Then here I am living just 3o miles south of Mecca, Green Bay. Who would have guessed! My husband has very nicely pulled me into the life of Sunday afternoon football watching. I never really understood the game and he has nudged me into a relatively good understanding of the game. I like it so much I actually watch ESPN shows during the day when a big game is approaching, to listen to the debates on who will win. 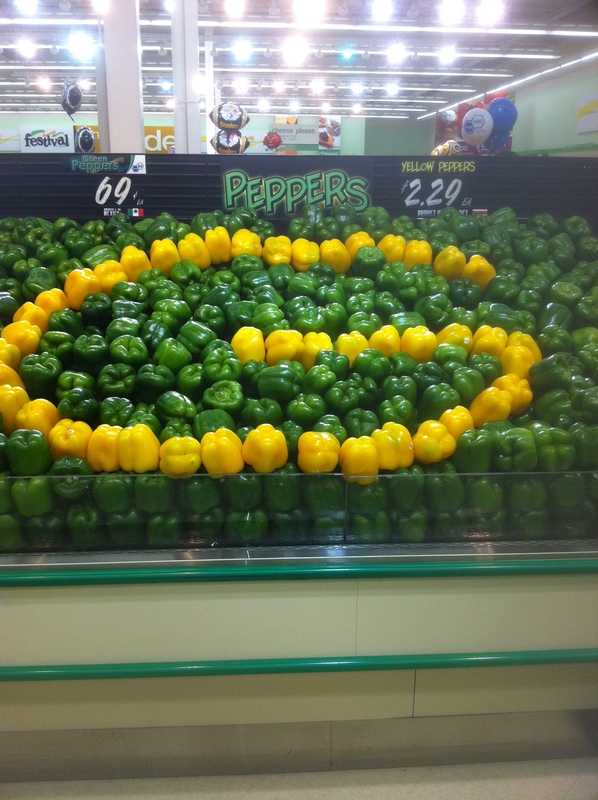 As you can imagine the Packer hype is going strong. 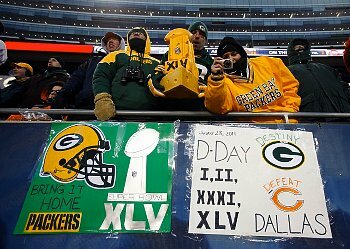 Green Bay Public Schools announced today that school will dismiss around noon on Monday for the” Welcome Back Packer” celebration no matter the outcome of the Super Bowl. Some of the celebrating will dribble over into Tuesday when there will be a big party in Lambeau for fans. Our local news shows newborn babies born in the Green Bay hospitals sporting Packer knitted stocking hats and blankies, and recently even cheesehead hats. The buildings in downtown GB are being papered up with green and gold support signs. The groceries stores display their support in the produce, the bakery, the deli, to the special beverages. Children are posting YouTube songs that they have creatively written to show their support. Our new governor has ordered that the capitol dome in Madison be bathed with green and gold flood light. It is Packermania right down to our feathered pets, last night, Jon and I chuckled as we watched a news film clip of a GB exotic bird that chattered “I Love Packers”. I am simply amazed at how much money true fans are willing to spend to follow their team through the season, through the playoffs, and now on to the Super Bowl. Same day flights and a ticket are 4 thousand dollars. Many fans are going to Dallas in support of the team, to be present at rallies, attend parties,but watch the game at a football viewing venue, but that is still a very expensive trip. It’s this solidarity about football and the Packers that drives the economy in NE Wisconsin as well as the entire state and beyond. My former school colleagues will be amused that some of the elementary schools have fun Packer challenges going on. One particular school has each class room picking a player and collecting food that equals the weight of their favored player. Then their collected donations will be given to the local food pantries, a very admirable math and charity project. As I have said in previous blogs, football trickles down even into church, too. Our senior Pastor is from Chicago, so two Sundays ago, he sported a very funny Bear hat during the announcements. He promised he would be cheering for the Packers this weekend. 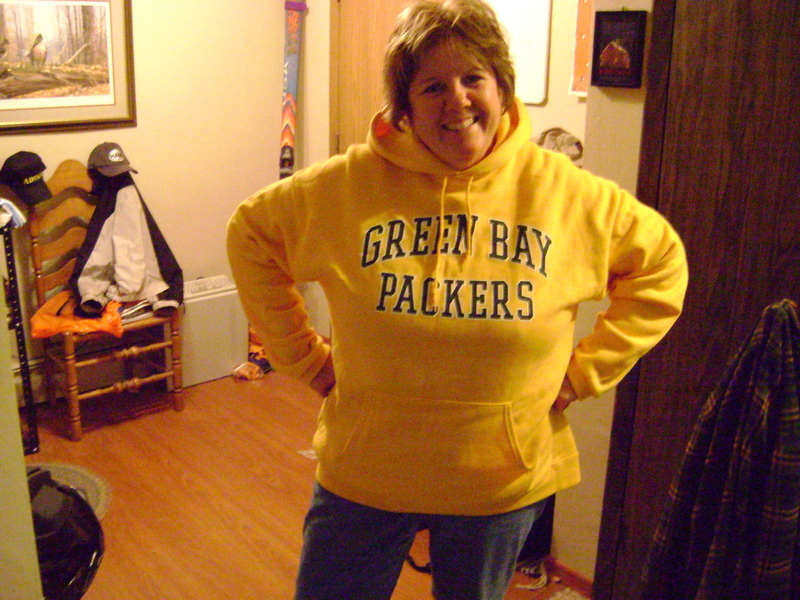 I think I am going to break my rule about appropriate church dress this weekend, and proudly wear my Packer girl sweatshirt. I am pretty sure I won’t be the only one doing so. My hairdresser shared her thoughts about the game, well I should say about half time. She is in her early 20’s and is so glad that Black Eyed Peas will be featured versus the “has beens” and unrelateable groups that she have seen the last few Super Bowls. A Ham Radio buddy in Oshkosh posted an article on Twitter recently about the former Vince Lombardi home in GB (the link is below and worth a read). People STILL seek out the Coach’s home with reverence. I asked my husband about the ring thing. He really didn’t know, so I did a little research. Apparently each team is given a token 150 Super Bowl Rings. If teams want more than that, then they have to pony up an additional $5000 per ring needed. I thought just the players got the rings, but trainers, guys on IR, and other people that work with the team get rings as well. 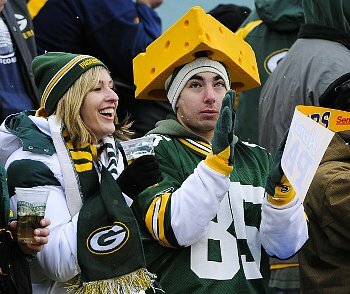 My husband told me that it is unique for a small city, like Green Bay, to be the home of a NFL franchise. The support, loyalty, and love that the fans have for this team is unfounded. No matter the outcome, the fans will be proud that their young team reached the playoffs and won AND played in the Super Bowl. I have to admit it is fun getting caught up in all the hullabaloo. 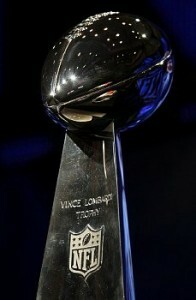 So, Oh Yeah, let the parties begin and bring THAT Lombardi Trophy back home to Title Town! GO PACK GO! P.S. 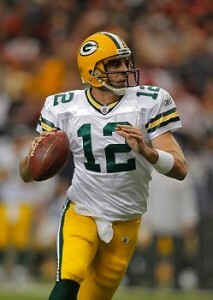 I have a new QB favorite, so move over Bart Starr, it’s now Aaron Rodgers! OH…a fairy tale ending…the Green Bay Packer won. GOPACKGO!